Cryoport is proud to introduce our new, state-of-the-art C3™ 2-8°C solution. 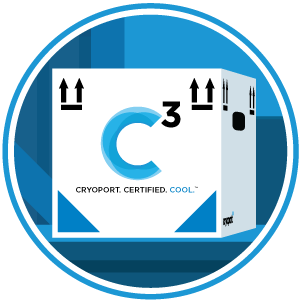 The C3™ is a CERTIFIED.COOL.SM method of shipping and seamlessly integrates Cryoport’s expertise in packaging, informatics and logistics for the most secure transport of your valuable commodities. 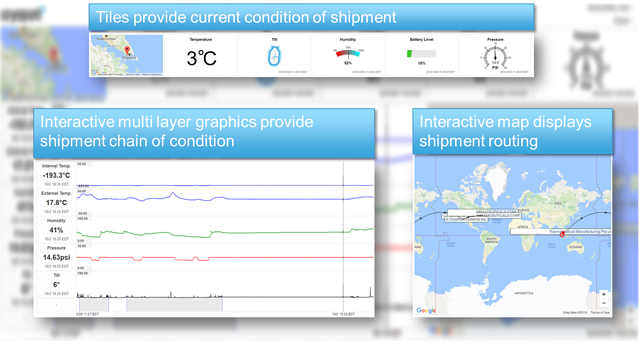 Our powerful Cryoportal® logistics management platform and leading-edge Smartpak II™ condition monitoring system work in conjunction to provide complete visibility of the location and the most critical aspects of the condition of your materials. We provide a complete chain-of-custody and chain-of-condition report with every shipment. Cryoport’s 24/7/365 customer support also proactively monitors your shipments and provides intervention capabilities if needed. 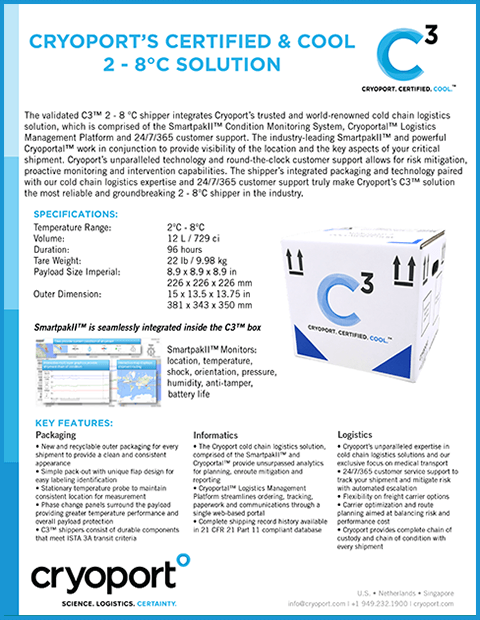 Cryoport’s trusted and world-renowned cold chain logistics solution has now been integrated into the C3™ shipper, truly making it the most reliable, secure and groundbreaking 2-8°C solution in the industry. When there’s no room for error, Trust Cryoport.